The mysterious Knights of Ren have been much discussed in the run-up to Star Wars: Episode IX. They’re a group of warriors who were under the command of Supreme Leader Snoke, and with Kylo Ren being the highest ranked in their order, he’s assumed to have taken control of them. Despite being present for The Force Awakens and The Last Jedi, they’ve remained almost entirely off-screen, leading many fan theorists to conclude that they’ll play a big role in the finale of the Sequel Trilogy. Now, with the leak of that Episode IX teaser poster, those theories seem to have been partially confirmed. They appear in the lower left of the one-sheet, appropriately enough over Kylo Ren’s shoulder. 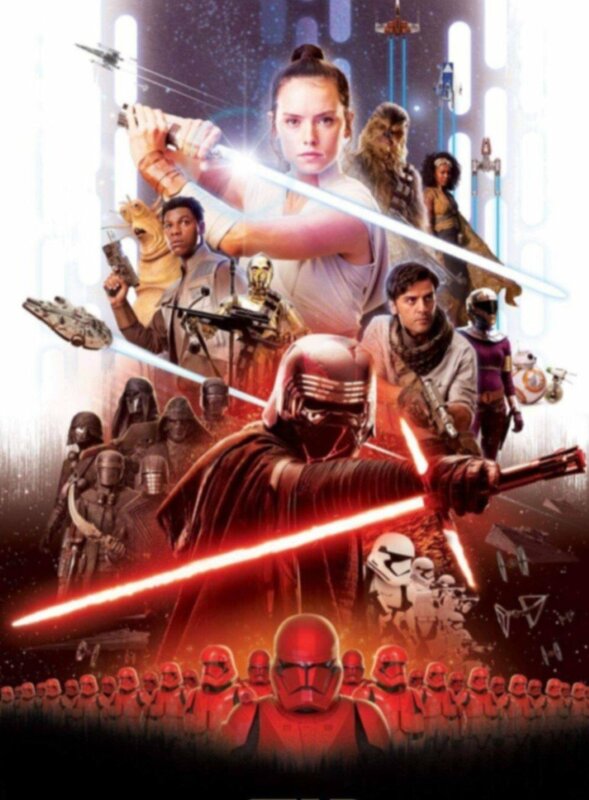 Though the poster isn’t of a particularly high resolution, it’s still clear that the Knights have costumes that echo Ren’s battle attire, including a mask that seems similar to the design of Darth Vader’s. Interestingly, they seem to be of different sizes and builds, too, and may wield a variety of weapons tailored to their fighting styles. It’s intriguing that they seem to be using traditional weapons rather than lightsabers though. Most assume that the Knights are force-sensitive, but they’re certainly not Sith and they might not even be Dark Jedi. It’s possible that Snoke wanted as few Force-users close to him as possible so as to maintain his power, so he might have intentionally focused their training on combat rather than Force use. Also interesting are the red Stormtroopers lined up along the bottom of the posters. Word is that this variety of Trooper will be under the direct command of the various Knights, answering to them alone. I’d guess we’ll get a good look at them in action during the upcoming trailer for Star Wars: Episode IX and I, for one, can’t wait to see Rey in action against them.